Longtime Lucerne Valley Unified School District Board Member Tom Courtney and the district’s pioneering Science, Technology, Engineering & Math (STEM) Lab are featured in Winter issue of “California Schools,” a quarterly publication of the California School Boards Association. 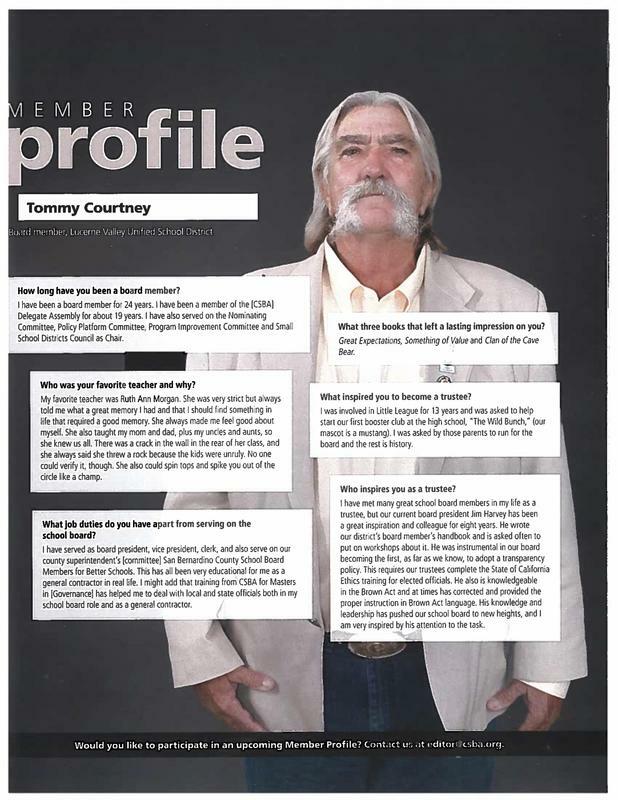 Courtney, who has been a member of the school board for a quarter of a century, shares his experience and observations in a question-and-answer profile featuring a full page photo. 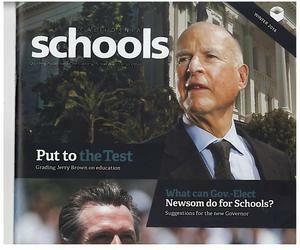 He discusses his inspiration, duties as a LVUSD board member, favorite books and teacher. 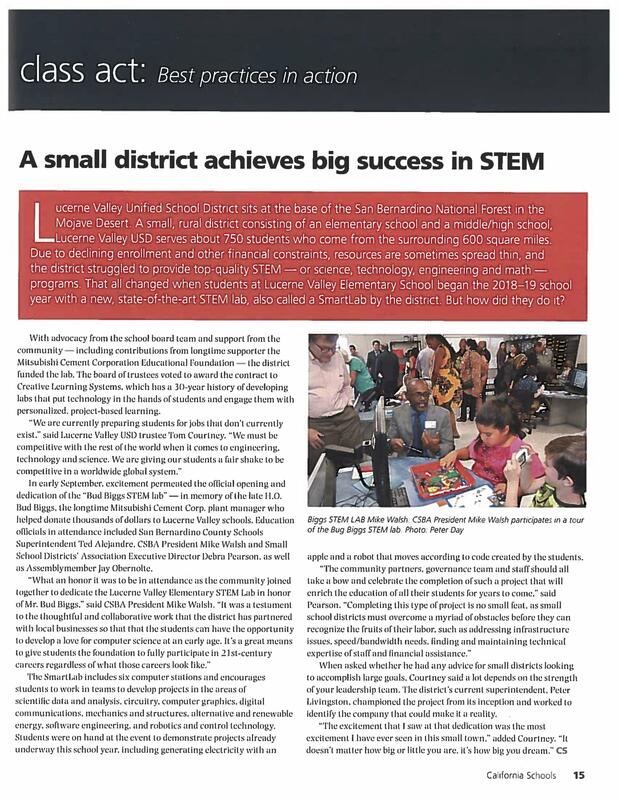 In a separate article focusing on the STEM Lab at Lucerne Valley Elementary School, Courtney shares his excitement for the new “Bud Biggs STEM Lab” and what it means to district students. Earlier this fall, he and numerous dignitaries, including CSBA President Mike Walsh, attended a STEM Lab dedication ceremony that wowed attendees. The magazine was published as Courtney, Superintendent Peter Livingston and other school district members were attending the CSBA annual conference in San Francisco.